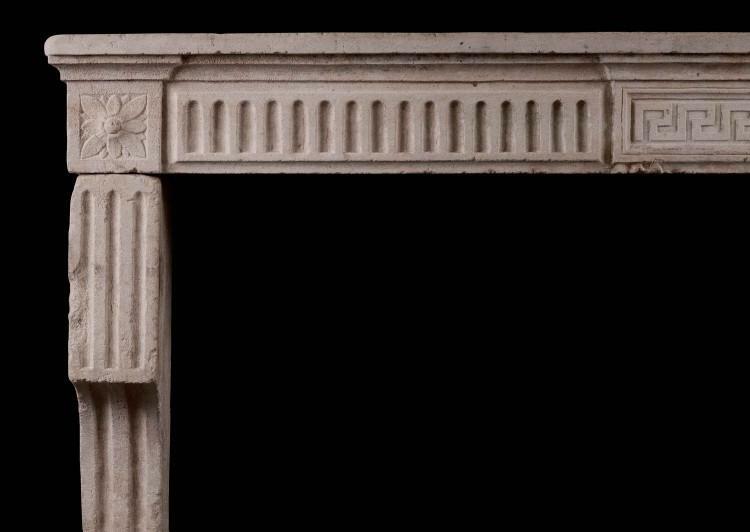 An attractive period 18th century Louis XVI stone fireplace. 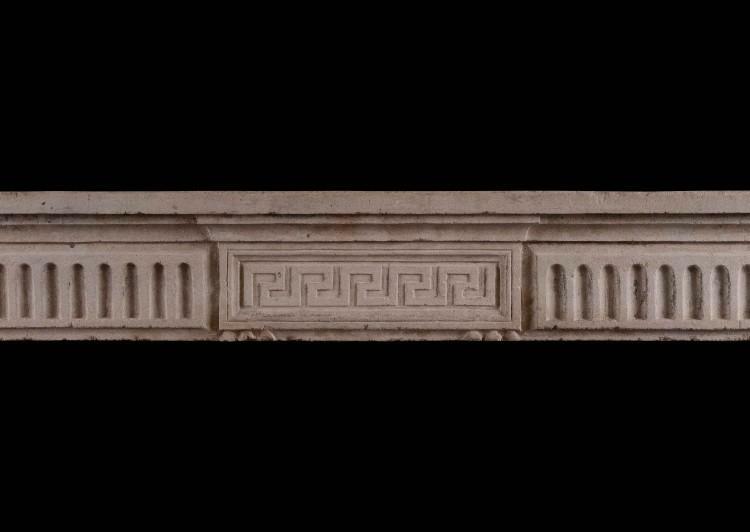 The fluted frieze with Greek key centre panel, beneath moulded shelf. 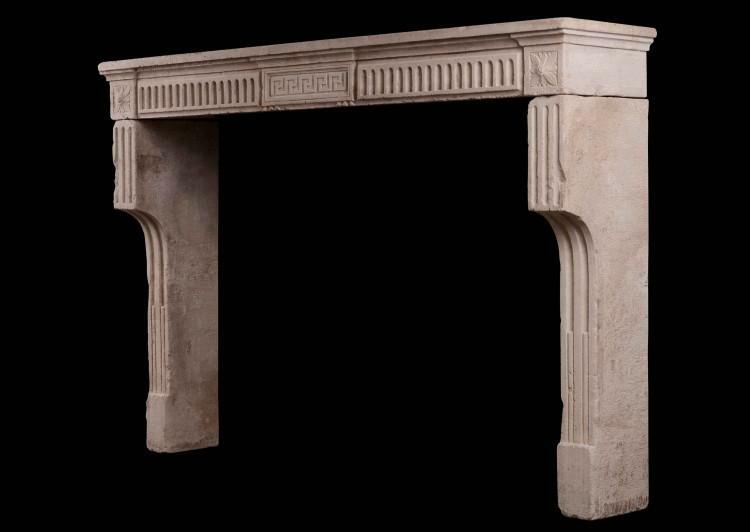 The bracket shaped jambs with stop flutes, and carved square paterae to side blockings. 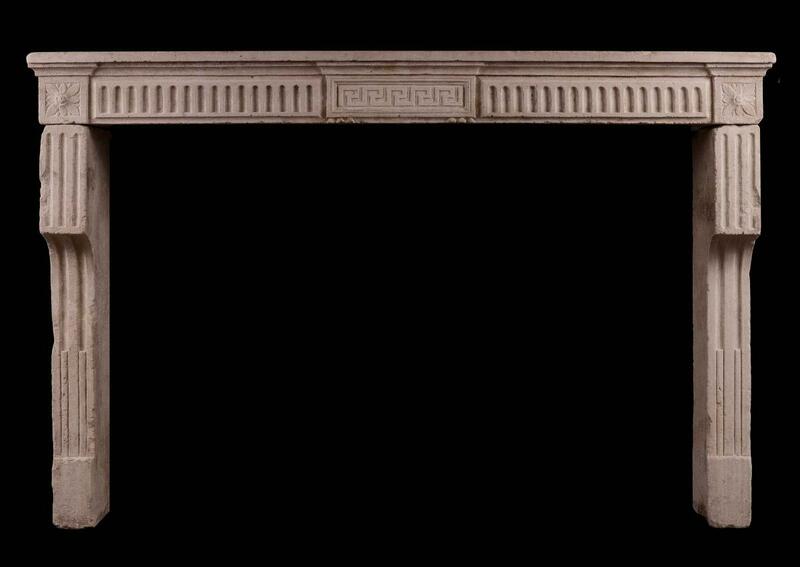 The frieze and shelf from one piece of stone. Beautiful warm colour and patina to the limestone. From the Burgundy region of France.